Karin Schepers was born in Germany and arrived in Australia with her husband, printmaker Udo Sellbach in 1955. She studied at the Kölner Werkschulen 1946-53, and worked as a lithographer at the Kölner Presse 1952-53. With Sellbach she lectured at the South Australian School of Art. Figure was exhibited in 1964 in Melbourne. 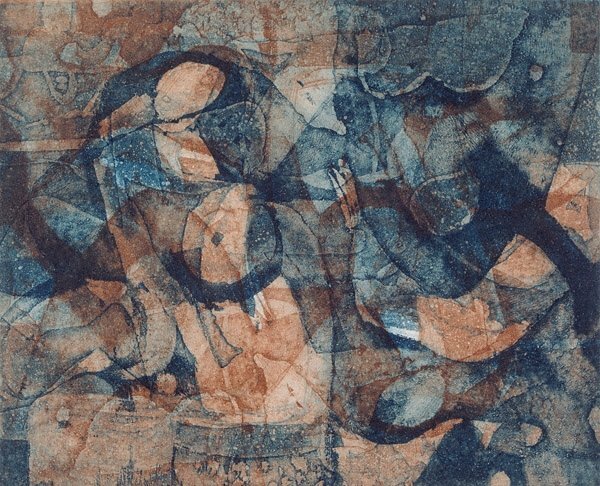 Between 1950-58 she made about 50 lithographs, and between 1960-64 about 40 etchings, after which she stopped making prints. Signed and dated l.r., pencil "K. Schepers 62".